● Check the Special Offers section for promotional sale events offering as much as 40% off featured items. ● Enjoy free ground shipping on all orders worth $50 or more for all US addresses. A flat rate shipping fee of $4.50 is charged for orders less than $50. ● Coupon codes can let you enjoy free shipping on any order with no minimum amount required. Other promotional coupons offer free gifts, while some limited time offers offer discounts as high as 20% off your entire order. These all seem to be fairly commonly released, so check back before you place your next order to see what’s available. Shu Uemura is a luxurious cosmetics company that has unique packaging which is how beauty enthusiasts around the world distinguish their products. Their home page includes their most popular product categories including: skincare, makeup, accessories, and more. You can take a look at the special offers page to find items that have been recently discounted from their original purchase prices. Also, the last chance page is another way that you can get makeup and skincare items for less. If you're interested in the most popular products that they currently have available you can take a look at their best sellers. 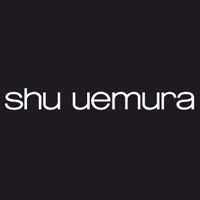 For most up to date offers check out Shu Uemura on Facebook and Twitter or contact Shu Uemura Support for any questions.